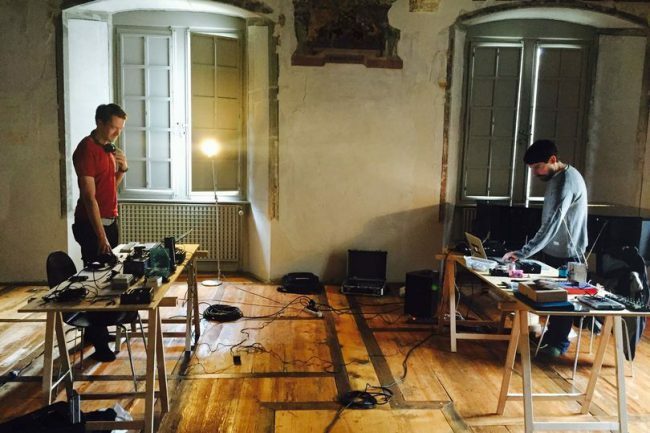 On November 30 at 7 pm, as a component of their collaborative research residency at IAC, Shaw and Smolicki invite you to a soundwalk performance. The performance will showcase the artists’ modes of approaching public space as a complex, sensory milieu in which various sources of information and organized infrastructures compete with noise, incident and disruption. Through a collective walk and performative sound collage at the Inter Arts Center, Smolicki and Shaw will also demonstrate how field recordings can capture and communicate this complexity and how listening technologies might alter the way we hear and comprehend our surrounding.